Sadly, millions of Americans are affected every year by serious eating disorders such as anorexia and bulimia. Dental professionals are often the first to observe signs and symptoms of these sicknesses. Why is that? Weakened oral bone structures and teeth leading to tooth loss or gum disease (caused by poor nutrition). Eating disorders are complex and lead to serious health problems – even death – if not dealt with appropriately. Exact treatment depends on a variety of factors, including the type of disorder and the individual. It may involve a combination of psychological counseling, nutrition education, and at times even hospitalization. 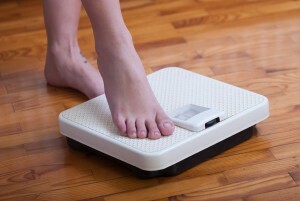 It is extremely important that a person suffering from an eating disorder seek help as soon as possible. When battling an eating disorder, it is important that a patient not brush immediately after vomiting as this can cause further damage to the softened enamel. A sodium fluoride mouthrinse may be recommended to strengthen the enamel. Enamel that is completely worn away does not grow back. To restore the appearance of the teeth, various techniques may be utilized including veneers and/or crowns. Although teeth damaged by eating disorders can be treated with cosmetic dentistry, it must be emphasized that the underlying condition must be properly addressed to restore someone’s health and avoid serious complications beyond the mouth and teeth. If you or a loved one is struggling with an eating disorder, please let your dentist or another healthcare professional know. The Yuba City Dentistry Group will assist you to get the help you need. We also encourage you to contact the National Eating Disorders Association for additional information.